I've been lurking the forums for a few weeks and the site's articles for the past 2 months. After researching this a ton, I am prepared to present my list of components (link below) for your consideration. This is an enthusiast gaming tower build. Any feedback you have would be extremely appreciated! - RAM: 2x16 done for expand-ability, as I plan to run 10+ VMs for isolated network penetration testing. - PSU: Extremely high wattage, due to future upgrade plan for 2xGPU (SLI) and overclocking, after they work out remaining kinks with game developers. Ideally, waiting for PCI 4.0/5.0 motherboards. - SSD: 2x2TB M.2 (PCIe NVME) preferred over 1x4TB Samsung 860 EVO SSD (SATA III), due to a ~2.25x speed improvement (even greater for 4k random reads, which is more important). I need a 3 TB volume and HDDs are slow/noisy, so these are the best two approaches. A RAID 0 approach to span the drives for 4TB would be done, which also improves performance (bonus). 1. <RESOLVED> GPU: Should I pursue a fan-less GPU variant to rely on case fans + airflow instead? If so, which GPU? 2. <RESOLVED> CPU: Given OCing isn't planned, would delidding + liquid metal (warranty voiding) provide real benefit? 3. Case Fans: Will I need more than 3x140mm? Dark Base Pro 900 comes with 3x140mm high-RPM "Be Quiet! Silent Wings 3" fans, btw. 4. Motherboard: Is Z390's "silent" auto-fan control good or is tweaking essential? 5. Chassis: This has been tough. I've narrowed it to four choices and am leaning towards 5.A, but am very open to a different chassis. I'd like a tempered glass side, ideally on left side of case (when looking at it from the front), but I'm flexible. It needs to be spacious enough for future re-build with SLI, which may necessitate watercooling equipment. This rig will be sitting on the floor to my right, in a large/open ~70F room. Thank you all so much for your time, consideration, and feedback!! Last edited by Silent_Gamer on Mon Apr 08, 2019 3:27 pm, edited 1 time in total. "After they work out the kinks with game developers": heh. PSU sizing: Gfx cards tend to hit a limit at 250-300W. A stressed system with one 2080 Ti may approach 300W. So, figure 600W with two. Sizing the PSU for quiet operation with this load would lead to something in the 900-1000W range (the GPU fan noise will always be dominant). Gfx card: Take a look at the Asus Strix - quiet mode BIOS tends to outshine the other cards. You won't find a worthwhile fan-less solution for any card over 75W TDP. You will find many that have fan stop for non-3D/lighter loads. De-lidding CPU: some swear by it. I'm a klutz and would probably break the CPU. So YMMV. mobo fan control: try it and see. It may fit your needs. If not, then you've got the option to tweak. Note with Asrock mobo's: You will want to drill down into the manual or product page to see if it will work with voltage controlled case fans. Some allow for one fan, some more. I'm going to recommend you steer away from SLI, while it works fine, and once drivers are updated with the games you play you will have a decent experience, it has its downsides, the micro stutter will never be fully fix, its minimized in some titles and in others is more visible, and its the nature of the SLI. Second, it works against a quiet setup, i tried a SLI of Asus GTX970 totally unbearable, the first gpu goes ballistic. And with 2x MSI GTX980ti, while it was better than the Asus, the first GPU still goes at least 7c higher making it hard to cool down, and some is the very little space you will have between gpu other is the way the load of the SLI. If you still going to persue SLI, go with a custom waterloop, this is the only way i think it could be made quieter, probably not as quiet as a single gpu, but water will help a ton to deal with the issues that sli brings in terms of noise. - SSD: 2x2TB M.2 (PCIe NVME) preferred over 1x4TB Samsung 860 EVO SSD (SATA III), due to a ~4x speed improvement. I need a 3 TB volume and HDDs are slow/noisy, so these are the best two approaches. A RAID 0 approach to span the drives for 4TB would be done, which also improves performance (bonus). I'm going to recommend against raid, specially raid 0 of 4 drives you will increase the chance of failure by four times, i personally dont think its worth it. Two recommendations, if you have the money grab a 4TB 860 Pro/Evo/QVO, if you cant live with the sata III speed, then go with dual 970 evo 2tb (but remember once the cache is used, they will drop to sata III speeds for writes). And the last recommendation here would be to go with NAS with standard drives (and with cache if you wish), Qnap has some very nice 10GE / TB3 NASes that will allow very high transfer rates, even live editing is doable with them, and you can place the nas out of hearing range. 1. GPU: Should I pursue a fan-less GPU variant to rely on case fans + airflow instead? If so, which GPU? There are no good fanless solutions for current gpus, but as steve suggested, most of the Asus STRIX come with dual vbios (a switch on the back of the card), one of them is quiet that will have a less aggressive fan curve, netting very quiet operation at the expense of heat. Again avoid SLI, get the best single GPU your budget allows. 2. CPU: Given OCing isn't planned, would delidding + liquid metal (warranty voiding) provide real benefit? I OC just for benchmarks, the daily use i run it not OC, and yes there is a benefit from deliding, specially if you chose the i7 8700k it will drop between 10-20C, in my personal experience was 15C, there are good deliders that can do it for you if you dont with to do it yourself. The newer 9900k/9700k come with hybrid soldier that the benefit will not be as much, and to me its not worth it in this case, you will simply have to deal with a much hotter cpu. I'm going to delid a xeon e 2146g coming in two weeks and also have a second 8700k that ill be deliding with the xeon. Each setup is different, its hard to say if you will need more or not, specially if you are planning on doing SLI. From what i seen (dont own one), seems bequiet cases are too restrictive, i would recommend to look into Fractal Design Define R6 / S2, or Phanteks P600 (i personally eyeballing this one for a friends build), seems very nice in tems of having both way, good airflow if you remove the front and good sealing with rubber gaskets and back noise dampening material. I would say not obligatory, but prefered. If you dont have a good fan control, you can always buy fans that lower top speeds or undervolt or get an external fan controller. But todays mobos are really good, some of them, depending on what you chose, it will allow you to use what it comes with and have a very good control and outcome of the setup. If you want easy, grab an Asus motherboard, install AI Suite and run FanXpert, push the tunning button and most of the time you will get a decent setup (depends on a lot of things, like fan choise, airflow, temperature reading, etc), that said, asus to me its the worst of all, their bios fan control is restrictive and creates a lot of issues with certain fans (including inestablitity of the pc), their software is bloated and creates incorrect temperature readings, so if you have a little time to tweak your setup i would recommend to avoid them. AsRock and MSI in the other hand have very good bios fan control, and no restrictions you can go to 0% if you wish and stop fans or run them as high as you want, with 1% increments, so they will adapt to any fan, MSI does have an edge that allows any header to be switchable, i personally only use PWM fans so for me its not a big deal and the reason i mostly buy AsRock, but for someone that plans to use the included fans of the case, most of them are 3pin, MSI will allow you to switch them on bios easily from 4pin PWM to 3pin DC, so it would be a my recommendation, if you find one that has the feature you like on the budget you desire. Gigabyte is really good now a days, their bios fan control is as good as AsRock or MSI, but i yet to find a switching of the headers (not sure if they are auto, havent tested), but the place it fails is the CPU temperature reading, right now im testing Z390 Aorus master and has like 15C offset from the cores and its because they use another sensor, as long as you understand this and plan your curves accordingly, then i dont see a reason not to go with gigabyte, but MSI and AsRock are simpler and better choices in my experience. I already posted my suggestion in the fans query. I would add phantek p600 to your short list, else factal to me its a better choice, if you dont like the R6 go with S2. All 3 will work good on air and have good support for watercooling if you persue this route later on. Silent Gamer - until you have two approved posts, your first post will go into moderation every time you edit it. Make my life easier and add a post. Also, think about how must storage you really need for fast access and how much of it is more archival in nature or doesn't require NVME speeds. That might help with the decision making process. This is really an overkill, to the point that will make your idle inefficient and its a ton of money thats its not needed, even a 18 core setup will not reach those levels, those PSU are really for no one, well maybe a quad xfire of Vega64 + 32 core oc heavily. If you want a high end PSU and want to have room for SLI, go with a Seasonic PRIME Ultra 850W its more than enough, even if someday you wish to overclock, and if still don't feel comfortable go with 1000W, but no more than that. Here you can do better, G.SKILL Ripjaws V Series 32GB (2 x 16GB) 288-Pin DDR4 SDRAM DDR4 3200 (PC4 25600) Desktop Memory Model F4-3200C14D-32GVK while expensive, its a better buy than the $460 PSU. Go with ASUS ROG Strix GeForce RTX 2080 Ti, slightly cheaper and quieter. The intel 660p will go to 100mb/s once the cache fills, so if you are going with nvme because you want write speed this is not the best choice, if you are using them for storage, raid 0 is not a good idea, specially since your likely to have your OS there (i don't see another ssd). Either go with a 4tb SSD SataIII or or 2x NVME not raided, one 970evo 2tb for OS, programs, games and the intel 660p 2tb for storage. If you are fine with TN viewing angles, go for it, but if you can check the ASUS ROG PG279Q, its more expensive but IPS 144hz Gsync, to me one of the best monitors for high refresh gaming. Thanks for your insightful feedback! Before reading on, please note I updated my original post (new link to parts, as I made changes to the CPU cooler and SSDs). Also, if you'd like to follow along, this build is also being discussed here: https://www.reddit.com/r/buildapc/comme ... ou_change/ I've given a lot of thought to what people replied there, as well as both of your inputs! (so, pre-apologies for a lengthy post!) Also, this is a copy-paste of a message I prepared earlier (before I realized I'd get locked for first editing the post, haha - thanks for the catch, Steve!). I'll prepare a follow-up on both your latest responses after I grab some dinner. Steve - PSU/SLI: Assuming an SLI + OC approach with the same TDPs in ~4 years from now, I was thinking it would be roughly 600w for 2 GPUs, 200w for CPU, 100-200w for other parts (incl. water cooling), so perfectly in-line with your 900-1k wattage estimate. Shouldn't I be aiming for a >1k PSU to accommodate this more efficiently though? Abula - PSU/SLI: Yeah, the handling of alternate frame rendering (AFR) as it currently stands is immensely problematic. Additionally, the gsync/freesync PCIe demands, when using NVLINK, throttles 2x16 PCIe lane mobos. So, even with a 4.0/5.0 mobo, unless the AFR issue gets improved upon (or an alternative approach settled on), it's likely to remain problematic for those achieving less than 120 FPS, as that's where micro-stuttering becomes quite noticeable. The micro-stutters >144 FPS are usually not noticed by people, but not even the 2080TI in SLI can reliably achieve those with heavy-weight modern game releases in 1440p, and most certainly not in 4K! So, in short, I'm absolutely in-sync with you here about SLI. Barring an AFR fix with improved mobo, then the only way SLI can make sense would be a massive generational improvement for >144 FPS reliably at 1440p (unless the consumer wants to play on 1080p, in which case, SLI is already good enough)! Steve/Abula - GPU: I confess I'm confused here. I had considered the ASUS Strix (an over-volt by 25%, compared to FTW3's 30%, which is the main limiter), but it seemed to me they both had the same fan control capabilities? Additionally, why would you toggle a physical switch on the GPU (requires accessing case), given the BIOS configurable approach? Steve/Abula - CPU/delidding: Updated post to reflect! Thanks for resolving this question for me! I will not be delidding. Steve - Mobo Fan Control: I didn't know that! I'll check for the manual soon! Abula - Mobo: That was a terrific exploration of mobos, thanks! I had picked-up on the difficulty with the Auros Master while lurking these forums previously (possibly from you) and seemed to me the ASRock z390 was going to be a solid choice for fan configuration and over-clocking (in the event that the case is relatively quiet and I want to do so). Thank you! Abula - SSD: I've changed to two QLC (instead of TLC) 2TB M.2s that run ~70% cheaper, with ~33% 4k random read speed improvement over the Samsung 970, and an overall 125% speed improvement compared to the Samsung 860 EVO (non-M.2, SATA III). My drive breakdown is anticipated to be 10 VMs (~300 GB), numerous personal files and applications (~300 GB), and 2.4 TB (steam library). The Steam library is massive, on account of very slow download speeds in my area (thankfully latency is good) and desire to run it quickly. The price/performance ratio for the Samsung 860 EVO (SATA III) is simply not there, as a 4TB model is ~$50 more expensive than 2x2TB M.2s (which run ~125% faster [likely even faster once raided!]). As you wrote though, the raid 0 approach to create my single volume will result in twice the rate of drive failure. The alternative would be a non-raided spanned SSD approach, but that would mean the first M.2 would fully-fill before the 2nd gets used, and SSDs are known to experience slow-down after 80% capacity or so, which presents difficulty. If you have any more thoughts on this, I'd love to hear it. One thing I considered was keeping both M.2s (again, because both is cheaper than the 860 EVO SATA-III and faster) as separate volumes. I would designate the first drive (2 TB) primarily for my host OS, VMs, personal files/applications, which would leave ~1.4 TB space remaining. I would then allocate the second drive (2 TB) wholly for steam installation. Once it nears being full, I can create symbolic links from the 2nd drive to my 1st drive, where I'll maintain the actual game files. This allows Steam to auto-update games and be played, without any manual intervention. The only draw-backs to this approach that I can see are...1) Most the files for a game are stored in the steamapps game-name-defined folder, but not always. For those with extensive save games or impressively massive map files, those are stored elsewhere (and typically not neatly packaged for symbolic linking)...2) I would need to download a new game to drive #2, then move it to drive #1, then create a symbolic link for the folder on drive #2. It's not a lot of manual work, but it does entail writing the file TWICE (once for each M.2), which effectively doubles the rate of my experiencing a drive failure (similar to raid 0, except they don't both go at once, and likely it'll be the 2nd drive that goes first, which would be preferable)...sorry for the page of word vomit. I've been going back-and-forth on this a lot, as you can see. I just checked out the Phantek p600 you suggested - looks good! Watched a Hardware Canucks comparison between it and the Meshify S2 and would say the Phantek p600 seemed nicer! Looking at the main site, it seems they have a tempered glass and metal wall option. One thing I've wondered is if going with tempered glass is going to make acoustics worse (I'd figure it's heavier to dampen heavier sounds, but foam would address high frequency noises, which is likely the predominant type in a gaming rig)...I spent time reviewing all of my cases further in comparison to the Phantek p600 and must say, I think you've got the winning case here! Max stressed system power is roughly the TDP of the Gfx card(s) and CPU (or wherever you've set the power limit) plus maybe 30W for everything else (mobo, SSDs, fans). Max gaming load of 85% of the stressed load total is a good estimate. For grins, scroll down on this GamersNexus article on SLI Titans with a 5GHz i7 8086K. 720W peak. For two Titans. 2TB Steam library: Two comments here. - Do you really need every single game to be ready to play? Why not offload the games you aren't playing to an archival rotating drive? You're gonna want backup storage somewhere, anyway. - Games don't need super fast SSDs. It doesn't affect fps, just load times...and the difference between a top end NVME SSD and a cheap SATA SSD is pretty minimal. Scroll down to game load times in this Tech Report review. Asus gfx card: the card comes with two BIOS profiles. The Quiet profile runs the fans at lower rpm and hence quieter than others. There's no need to switch between profiles. Just set it and forget it. From Legit Reviews NVIDIA GeForce RTX 2080 Ti SLI Review with NVLink the consumption 641W for a total setup. From GamerNexus NVLink Titan RTX Benchmarks vs. 2080 Ti SLI: Gaming & Power Consumption 720W max for the RTX Titan sli. The 850W should be more than enough, but at the end you are the one that has to live with it, if it will make you sleep better, go with 1000W, but dont go beyond, you dont need it. And i would avoid SLI, i would prefer to go with 2080Ti now, and upgrade to the 3080Ti next year, with Intel coming i bet nvidia will try to beat intel into releasing in 2020, and who knows maybe intels hits a home run and we all move toward blue, i personally think the 850W is more than enough, still opens you the SLI if you want to. Chosing the right components its the most important thing to end up with a quiet setup, Asus has the quietest 2080ti atm, but remember overclocking will go against quiet computing, and as it is your already running hot components, higher clock/volts will require more fan speed, etc. About the switch, its like a dual bios motherboard, usually have a switch where you change into what bios you want to boot on. I personally dont run any software for the GPU, i prefer the vbios to do their job, but if you are running MSI Afterburner or alike, then go with whatever gpu you like and drop the fan curves at the expense of heat to end up with a quieter setup. * If it is autodetect, dont matter the mobo will switch it. After that enter the bios and set your fan curves, its relatively easy, it has 5 breakpoints. Stress it and see your temperatures and adjust accordingly to your cooling/noise desires. Btw have you considered waiting a month or two for Ryzen7 gen2? it might be a game changer the 7nm. Seems if all goes like the rumors many will move to AMD soon, its going to be ironic on 2020, AMD CPU + Intel GPU, who would have thought. Btw have you considered waiting a month or two for Ryzen7 gen2? it might be a game changer the 7nm. Aren't they looking at an early June release at Computex? ..and we don't know if it's a hard intro with parts or a sampling intro...and then there's the wait for a low risk build (~2 months to let the bugs and bios updates work out). That pushes out to at least August for a low risk build. Unrelated to noise, at this budget I would consider a 3440x1440 monitor. I bought a AW3418DW and I love the ultrawide format both for gaming and work. I can’t readily distinguish 120Hz vs 144, and this particular model regularly goes on sale in the US for $750-800. It’s about a 20% performance hit compared to 2560x1440, but a 2080ti is going to handle it just fine in most games. FYI - I updated it prior to your response, so hopefully this doesn't confuse our conversation. Per the whole updated post requiring Steve to unlock (thanks again Steve). I updated the part list prior to your comment to go with Ripjaws 3000 (instead of Kingston 3600), but am not sure if you saw that version of the list? From a lot of research I found the difference between 3000 and 3200 was ~0.3 average FPS. Given it's a $50 cost savings ($100 if/when I double-down on RAM), it's not too big of a difference however. Would you pleaseexpand on your 3200 choice? I've left both (temporarily) in the build list, if you wanted to compare them side-by-side. One thing I'm noticing is my case interior will be entirely black, unless I get the 3000, which are bright red, haha. Also noticing a distinct lack of reviews for the 3000, whereas the 3200 is quite popular. Thanks for the links! My back-of-napkin math a while back determined I'd need a 1K Watt PSU to achieve 2-way SLI + top-end CPU, all three OC'd (w/ water cooling), with everything under full load (unrealistic, except for potential spikes), in ~4 years. And so, my thinking for the 1.6k W PSU was to keep efficiency highest by maintaining draws as close to 50% as I could. However, looking at the Titan SLI article you both sent (don't tell me CA_Steve is the Steve from Gamer Nexus now! Haha), barring some crazy wattage jump in the next few years, I think 850 W would be a far more reasonable extreme threshold (with winning the silicon lottery on all three). In any case, you've convinced me! I've changed it to 850 W in build list! Ah, I understand now about the profile options included being better, thanks Steve. I am confused by a comment you made though, Abula. Are you suggesting the Strix itself is manufactured in such a way as to be appreciably quieter than EVGA's FTW3? I fully follow the rest of your writing about OCing raising wattage and downplaying fans (at the expense of thermals) however. By the way, the 2080 TI OC GPUs sold are binned (stock/founders simply can't reach the pre-OC'd cards), so I could try under-clocking them to return to normal temps, if I found them too loud. With respect to how well they OC, it's rather good, with most accounts around 10-14% FPS improvements for a similar 12-14% power draw increase. Given my first priority is still performance here and the power draw scales quite well with performance improvement, I would re-note the binning of EVGA FTW3s are supposedly more reliably than with Strix's pre-OC'd GPUs, but I've not researched those claims in-depth. I figured out the optimal approach would be designating the 2nd M.2 for steam library (2 TB), with remainder (~400 GB) on the first M.2, along with other files (up to 600 GB), as Steam supports an ability to maintain concurrent Steam apps on two separate drives (I didn't know this before), with a quick toggle of the "default" drive for switching between storage locations. With that said, please read on, as to why I chose Intel 660p. Unless I'm missing something crucial here, these drives should be absolutely perfect for my use case. Here's my thinking... Given use case of gaming, twitch streaming, VM running (primarily penetration testing + Splunk operational intelligence testing), and basic stuff (forums, netflix, MS Word, etc.) I have minimal writing loads that would exceed 6 GB sequential, which is the "static" cache assigned to the 2 TB Intel 660p models. They have dynamic caching for much faster write speeds before 75% fill capacity, but that's out-of-scope, as I don't believe I'd ever hit the 100 MB/s write concerns...again, unless I'm missing something? A hypothetically large write requirement of 50 GB/day is possible if 2.1% of my 2.4 TB steam library received a full-game-size update daily. At that rate, it would take ~22 years to hit 400 TDW, which is what each M.2 is rated for. However, as 400 GB would be on the primary M.2, it would be closer to ~26 years before the Steam dedicated M.2 hits the manufacturer's claimed TDW (and there's many interesting studies online showing how most manufacturers are grossly under-selling themselves on TDW claims, so as to keep up marketing buzz, but I don't want to get off-topic, as that's already exceeding a quarter century!) Regardless of length, barring a major defect, the Steam dedicated M.2 should clearly die long before my primary M.2 storing all other files (in addition to ~400 GB of steam files). This means my primary SSD would be at 50% capacity (1/2 TB), meaning I've still got dynamic caching (in addition to the aforementioned 6 GB static cache), so it would take 500 GB more files to hit 75% capacity (1.5/2 TB), before I'm left with only static cache and the 100 MB/s write speeds thereafter. Also, SSDs being filled only hurt write speeds, not read speeds. And when we're discussing writing Steam updates to disk, the real limiter will easily be my network connection before static cache exhaustion...as for why I want 4 TB? Because of aforementioned network limitations, I'm basically paying for convenience here (and possibly improving my drive longevity, as I'd otherwise be uninstalling/re-installing the same games). $220 (a single M.2 2 TB) to not have to uninstall/reinstall games (with long wait times) is a good deal, but that's a personal view. As for why SSD? Much faster, cooler running, and quieter than HDDs. Why M.2 PCIe SSD versus SATA-III SSD? These QLC M.2s combined ($440) for 4 TB are cheaper than the 4 TB Samsung 860 EVO (SATA-III, $661), as well as all other 2x2TB SATA-III SSDs I've seen on the market (which would be ~55% slower). WHEW! That was a lot to type! I'm with Steve on his reasons for why not to wait, plus I'd rather not wait. ^_^ Also, if you look at Ryzen product page, they even explicitly call out that their 2nd generation does WORSE than the 1st generation, with respect to FPS. Of course, that's before OCing. The same concerns I've raised about not doing an i9-990k over the i7-9700k are applicable here though, in that they simply run worse, when doing an OC-to-OC and stock-to-stock comparison for greater frame generation. Of course, I could be woefully wrong about the 2nd gen Ryzen, so feel free to tell me to shove a sock in my mouth here, haha. I looked at AsRock manual (https://bit.ly/2I7dWa9) and it specifies eight 4-pin connectors, with DC and PMW featured, with mention for its ability to "auto-detect" if 3/4-pin connectors are in-use. The Phantek p600 manual (https://bit.ly/2UpDm9e) specifies a fan controller (4-pin), 3 140mm fans (doesn't state 3 vs 4 pin), and an eight fan splitter cable (for 3/4 pin options). However, given the 4th pin is used for modifying fan speeds, I'd think a 4-pin option is necessary for our purposes? In any case, I'd probably want to sub-out the fans, right? Also, for the case itself, My updated build list shows the fans I had in mind, which are 4-pin (PMW), btw...also, I'm noticing the mobo doesn't support USB 3.0 (just 3.1 variants), yet the front panel of the P600 case uses 3.0. Great call-out. I've personally not had the opportunity to sit down comparison between a high-end TN and IPS monitor, but I've excruciatingly reviewed fast-capture camera footage slow down comparisons, followed tftcentral/limscave, and more though. With that said, I agree IPS is typically a winning monitor all around (with VA perhaps being even better with less drawbacks [well, aside from "ghosting" beyond 100 FPS as a result of much higher response times). I was initially going to say I'm for TN, because my main focus is competitive FPS, but, I'm obviously going to be doing stuff besides gaming on here (and not only FPS games), so really...you're right. For the slight improvement in response times I experience with TN, which at that level are very unlikely to make a statistically significant difference, IPS will just feel nicer! I really have struggled with this compromise though, as I'm one of the rare individuals where my own personal (physiological) response times are staggering as to make a legitimate claim of substance here (I really don't believe most people will appreciate the difference, and frankly, I might be fooling myself to think I will). I've taken reactivity timer tests and literally ranked in the top 0.0001% fastest human beings in the world and placed in a few tournaments (all while playing on a 9 year old laptop using a logitech marble mouse laying in a recliner, so while I play competitive games, I'm pretty casual in my approach). Not joking, nor intending to brag, so apologies if that comes off in writing at all. How much of that is hand speed versus eye processing versus brain processing I honestly don't know, so it's TBD how much better I'll improve getting a replacement to my 9 year old gaming laptop (60 Hz, averaging 40-50 FPS in low-medium quality settings, on a monitor I believe was rated for around 12ms response times). I'm hoping it'll be an epic shift. Purely a matter of taste, teodoro, but I'm not much of a curved monitor fan. In addition to the performance slowdown, the large dimensions are also non-optimal at a proper viewing distance (20-28") for ergonomics (eye health/strain) when using monitors a lot - at least, per popular ergo advice out there. This is because >27" monitors at this distance require greater head/eye travel, which will reduce your reactivity times...outside of competitive FPS gaming though, this is obviously a complete non-issue. It's my thinking that tempered glass would be best for lower frequency sounds, but that since most internals are creating high frequency noises, that a non-glass case (with added sound dampening material to it) would be superior for acoustics. Does this thinking hold true? And if so, how much of a difference are we realistically talking about here? I'm considering this with the Phantek Eclipse P600, after Abula's recommendation, and more investigation, it really does seem like a stellar case! ...The Phantek p600 manual (https://bit.ly/2UpDm9e) specifies a fan controller (4-pin), 3 140mm fans (doesn't state 3 vs 4 pin), and an eight fan splitter cable (for 3/4 pin options). The P600 fans are 3-pin, the built-in case fan splitter supports 3 x 3-pin/4 x 4-pin (PWM)/1 x 3-pin or 4-pin (PWM). The main issue with splitters, with for example PWM fans is that all the fans run at the same PWM % duty cycle settings. With the same make and type of fans this will be the same speed. If you want a case that already comes with PWM fans you could consider the Silverstone Primera PM02. This comes with 3 front-mounted 140mm PWM fans and 1 rear-exhaust 140mm PWM fan. There is a review of this case here. A well designed case with window will not be appreciably louder than one without (sub 1 dB difference when the Fractal R5 was tested). A lot of the Ryzen reviews were done at the time of product release and the BIOS wasn't fully baked (refer to my comment on not buying a CPU/mobo until a few months after intro). Look for some recent ones using a 2080 Ti (where GPU loading is the prime factor) and you'll see the difference between AMD and Intel isn't that big anymore. On non-gaming applications, AMD is better at some things, Intel at others. re: ultrawides, if you've used one before and didn't like it fair enough. I sit about 18-20 inches from mine and look at it about 10 hours a day--I don't notice any significant difference in eye/neck movement coming from a 24" screen but I also have been running 2-3 monitors for quite a while now. I think in all the 2018 and later games I've played, the developers were wise to leave the UI elements (mini map, ammo count, etc.) in the same position as if it were a 16:9 screen so no important information is too far in the periphery. though there's something to be said for leaving the genie in the bottle--playing on that 24" panel/games that don't support ultrawide now feels super cramped. if you haven't had the opportunity to see one in person it might be worth the trip if one is on display in a local store. I have noticed lately that the IPS screen handles dark netflix content much better than my 24" TN panel which tends to have some blotchy blacks/dark greys. re: gpus, the strix is the clear winner if you don't want to set a software fan curve (by msi afterburner or the like), as the 'silent' bios setting will be significantly quieter than the evga's bios fan curve. it basically just raises the temperature target, allowing the fans to relax. but it looks like you're comfortable making those tweaks, in which case I'd say buy whichever card looks better/is cheaper/is the company you wish to support. price being equal, I'd likely choose the evga because 1.) the temperature sensors are neat 2.) the few times I've talked to evga support I've been impressed and 3.) I briefly had a 2080 strix which had noticeable fan bearing/motor noise. either way, you'll then find out what fan speed produces your acceptable noise ceiling and if you're comfortable with thermals, set a curve to that point and you're done. if not, I had excellent results overclocking/undervolting my 2080 msi trio so that it maintains good boost clocks (steady 1920mhz) at substantially lower voltage than stock, resulting in ~73 degrees with only 35% fan speed. basically I'm trading the OC performance boost for less gpu fan noise (which is definitely the loudest component in my system). re: cases, I think you'll be best served by whichever well-built product looks best to you. I'm using a solid panel define r6 and like it a lot. with my fans now dialed in (<= 800rpm a12x25 intakes, <= 1000rpm a12x25 exhaust and cpu cooler, <= 1200rpm gpu fans) it's very quiet at load and "is this thing on?" at idle. once you hit that level of (non) noise, the GPU whine becomes more noticeable. I've played around with popping the r6 top and side panels off under load--they don't matter too much for fan noise (because they're already at or below my noise floor) but they do have some impact on coil whine. it's not a night-and-day difference, though, and since I'm generally using headphones when the gpu is under load/whining, I don't think it's too important. undervolting my gpu had a much bigger impact in reducing coil whine volume. I wouldn't hesitate about using a well sealed TG panel. Memory has very little impact on gaming, if thats your only use then save and go with something like Ballistix 16GB Sport LT Series DDR4 2666 MHz UDIMM Memory Kit (2 x 8GB, Gray), it was more into that you were overspending on the PSU and that if that was the case, was better spent on the memory. For some, they say 3000 is enough, for other 3200 say its the sweatspot, others swear by going into 4k+, the reality is that gaming gains very little on memory, but other apps do benefit, here its up to you to decide weather or not you will benefit with your load of programs and your budget. I try if possible to avoid using software to control things, simply its not reliable always, sometimes there are conflicts or timeouts and still its resources being used on something that i can avoid. So my preference for Asus atm is because they are doing their vbios fine, only manufacturer that its including two bios, and one of them benefits us quiet seekers, without the need for MSI afterburner or EVGA Precision. But if you are going to overclock you will need the software, unless you are a gpu vbios master on editing (not recommended), if you do use it, then go with whatever you want and plan your fan curves according to your peformance/noise desires, certainly the EVGA FTW3 looks like a very capable card, just to me they have a too aggressive fan curve on their bios, but i understand why, they have to plan for systems that might not have good ventilation so a more aggressive curve will sustain their hardware better, and im sure asus agrees, but having two vbios does allow to have it both ways, without needing software, personally on the GPU i don't overclock anymore, the GPU boost to me its good enough. Btw that 20% promo on the Asus is really nice, that should put it around 1095, which is still expensive, but certainly easier to swallow than $1400 of the EVGA. I'm not gona comment more here, if you think its the right choice, go for it, i know very little about VM and i dont know your typical workflow/usage, intel has never released a bad ssd in my experience, so im sure you will be fine. I agree, intel z390 is more mature and should have little bugs, but do remember this hybrid soldier cpus run hot, they can still cooled by air fine, but OCing with air on them... would be hard to keep quiet. I'm not at home to show you with a picture, but there are both type of headers on the board (not physically but on the bios settings), if im not mistaken, i believe is CPU_FAN2/Wpump and CHA_FAN3 that both are switchable, inside the bios under hardware monitor tab, you will find on the bottom the headers, this headers have a PWM by defult, but you can change them to DC if you need to, the other headers are autodetect so you dont have to do anything. I always recommend to test the included fans first to see if they good enough for each user, but certainly the BeQuiet BL067 are very good fans, thats my prefered fan for case fans on 140mm. About the USBs, i dont think there is an issue, USB3.1 gen1 will work fine with your frontal, the connector is the same to the motherboard, and i seen speed close to 400 transfering on my corsair 740 which also is usb 3.0, i hate all the nonesense with the USB nomenclature, i feel they should have made it 3.0, 3.1 and 3.2, that gen1 and gen2 just complicates things, but soon we will be on 4.0 with the inclusion of TB to it, hope we get pass this naming era soon. Here is very very subjective to each user, for example, there are some that can tolerate TN color shift and viewing angles, but there are others that can tolerate IPS Glow and backlight bleeding on the IPS, othes swear by VA fixing all this issues and other say that VA introduces ghosting.... there are others that are not happy with anything..... so YMMV. There are some very nice TN now a days, that still have color shift but its much less than what you usually see on older TNs, i believe the Asus TN used on the 258 to be very good, but color wise will never be as good as IPS, but then again IPS will never be as fast as TN.... again there is no perfect monitor, there are only compromises and preferences that you have to decide. I do think teodoro brings a good point, UW are gaining popularity because of a more immersive experience, so you might want to look into those, im eyeballing the LG UltraGear 34GK950G-B 34" 21:9 Curved G-Sync IPS Gaming Monitor, but there is one that its coming Q4 that has me more interested, LG 38GL950G-B. If you like the glass go for it, the phantek specially has rubber dampener to help even seal the glass to the frame of chassis, some say its for noise not to get out as easy other say to not have vibrations... but only one that seen this. Personally im not into that, but this is a totally user thing, if you like to show the computer go for it. Be sure to check all the options, there are 4 colors on the case. Hey all - sorry for the massive delay in response. Lots of stuff in real-life distracted, but all good things (work promotion, 1 year anniversary with gf, surprise award ceremony at work, etc.) Anyway, I've been doing a lot more reading and investigating and have updated the build list (link below) and look forward to any input you all have. I plan to purchase everything this Sunday, btw. This was very helpful, thank you! When you all talk about setting manual fan curves however, are you using identical fan speeds? I am planning on doing the 4 separately bought fans (Silent Wings 3) to optimize matters. However, given 3 on the front (intake) and 1 in the back (exhaust), it seems I'd have very skewed pressure operating at identical speeds. Would probably want for the exhaust fan to be at a higher compensatory RPM...am I thinking about this all wrong? This is very helpful, thank you! I am planning to find a store to try out some monitors tomorrow to make the most informed decision I can. I have been doing tons more reading (tftcentral, limscave, blurbusters, testufo, etc.) and feel pretty confident in my 27" selection. I do have an UW 29" in a box at home here, so I pulled it out last week and watched Rainbow Six Siege (RS6) pro players duke it out for a few hours. I experimented with a measuring tape at various distances and found I was displeased with the long horizontals, as too many details fell outside my cone of acute vision (i.e. peripherals). This became clear when pro players were reacting to situations in-game that I didn't process a need to react to, because it was in my furthest peripheral vision to left/right of screen. When I modified aspect ratios and replayed those parts (or simply turned my head to make it non-peripheral), I didn't have that problem. As a result, I've mostly narrowed my consideration to either a 27" or a 24". In so far as the IPS vs TN matter goes, I've decided to accept a bit of input lag and stick with IPS, as it's not all about FPS (or even gaming) at the end of the day. And in that same line of thinking, I'd probably stick with the 27", thus going 24" TN in a future monitor, if I really feel I need it...at which point I'll have three monitors, given the 29", haha. I'll stick with the Strix then. I do think the EVGA is perhaps better though, given their pre-OC'd models are 20% OC'd, as opposed to Strix's 15% OC'd. Read numerous reviews of people trying to replicate EVGA's 20% on the Strix and most couldn't, so it's likely a silicon lottery issue here. A 5% OC comes with a ~6.5% thermal increase, btw. In any case, while I am willing to play with fan curves, if I can be pleased with a preset, then that would be nice - and I can get into granular improvements later. I kind of think of this as being along the lines of using XMP profiles 1/2 versus manual tweaking, for RAM. The latter can give far more pronounced improvements, relatively speaking. In absolute terms, it's not a massive deal. Just something to do for fun and squeeze out some more efficiency, as I think any of us who get into the tech weeds like this probably get some enjoyment from. From my original post, I was pretty pleased with most of those cases. The Phantek P600S that came up as a result of this thread also looks fun to me, so I am happy to adopt it as the winner! Regarding your comments on different fan speeds, how are you managing this? (this is in reference to the question I posed at the top of this post to teodoro) - are you not using 4-pin fans? Or, are you using a different/better fan controller, which I should consider acquiring? As for the whine noise, I imagine I'd only hear that when the system is under load AND my components aren't running loud/hot. I'll be shocked if my build is quiet enough, given its heavy gaming focus, to have me hear it...it sounds as if your build may not be far off however, so maybe I need to re-think this...not much can be done about coil whine from other resources I've read, however. FYI - Spent a ton more time delving into RAM, its capabilities, its importance for my use cases, etc. I've opted for a 3200Mhz, CL16, as per your original suggestion. In the future, I may consider manually tweaking it, if the die is good. You'll notice in my build list at the top that RAM is my only unsolved question, however. Besides trying to figure out the best die (1usmus has a good post on why "Hynix CFR" would be best), which I can't find listed on manufacturer spec pages anywhere...I've got a possible incompatibility issue with my CPU Cooler (Dark Rock Pro 4). DRP4's fan clearance is 40mm, but Ripjaw is 42mm tall...do you know if RAM heights are "actual" versus "real" (would imagine it's shorter once installed into the mobo, after all). I found this post (https://www.overclock.net/forum/246-air ... st23232751) that would indicate RAM height from manufacturer can be subtracted by 5mm, due to installation. I've also read DRP4 has adjustable clamps for fan height positioning, so maybe this is a moot point, provided RAM sits entirely under the fans and not under the heatsink (obviously not adjustable). I don't know if that's true or not with the DRP4, although this post (https://linustechtips.com/main/topic/10 ... rk-rock-4/) the last commenter indicates the built-in fin lip provides 45-46mm of clearance, due to heatsink sitting over the 1st memory slot on each side. I knew of the lip from manufacturer sizing specs, but they hadn't provided measurements, so I've been unable to substantiate this. Steve/Abula - GPU: EVGA/FTW3 versus Strix...I try if possible to avoid using software to control things, simply its not reliable always, sometimes there are conflicts or timeouts and still its resources being used on something that i can avoid. So my preference for Asus atm is because they are doing their vbios fine, only manufacturer that its including two bios, and one of them benefits us quiet seekers, without the need for MSI afterburner or EVGA Precision. But if you are going to overclock you will need the software, unless you are a gpu vbios master on editing (not recommended), if you do use it, then go with whatever you want and plan your fan curves according to your peformance/noise desires, certainly the EVGA FTW3 looks like a very capable card, just to me they have a too aggressive fan curve on their bios, but i understand why, they have to plan for systems that might not have good ventilation so a more aggressive curve will sustain their hardware better, and im sure asus agrees, but having two vbios does allow to have it both ways, without needing software, personally on the GPU i don't overclock anymore, the GPU boost to me its good enough. Btw that 20% promo on the Asus is really nice, that should put it around 1095, which is still expensive, but certainly easier to swallow than $1400 of the EVGA. That makes total sense! I hadn't consider FTW's reasoning for going so much louder in their default fan curve, until you mentioned their planning for many having poor air flow cases. I suppose many people are also using closed-back headphones and not worried about more sound, either. Asus' Strix wins! Steve/Abula - SSD: Intel 660p...I'm not gona comment more here, if you think its the right choice, go for it, i know very little about VM and i dont know your typical workflow/usage, intel has never released a bad ssd in my experience, so im sure you will be fine. FYI - I'd given this a lot more thought since we spoke about this. My views on 2x660p (likely in raid 0) haven't changed, so I've left it alone. However, concerns over my VM plans were significant enough that I've opted to add a third M.2. I opted for the 970 EVO Plus, after finding it performed better than the 970 EVO and 970 PRO. The write-life is so high as it is, with its now lesser usage (given remainder of 2x660p), that I foresee it likely outliving me! I had agonized on comparing it to P12 controllers, like Corsair's MP510, which ran a bit cheaper. Honestly, probably would have been perfectly fine with that, but decided to go a bit bigger in performance here, at a slightly elevated thermal/power draw, given its far greater consistency/out-performance in most measures (per anadtech comparison). I think I'll be pretty pleased with this build, although it did add a pretty penny to my build cost. I debated going 2 TB for greater storage, but with a maximum 300 GB allocated to host OS + personal files, that leaves me ~700 GB to split 10-ways for VMs (so, 70 GB each), which is 2.3x how much I planned on needing. So, lots of headroom leftover for whatever the future might bring, plus it performs quite admirably in all anadtech tested scenarios, even when storage is maxed out (unlike the 660p). Abula/Steve - Ryzen CPU:...I agree, intel z390 is more mature and should have little bugs, but do remember this hybrid soldier cpus run hot, they can still cooled by air fine, but OCing with air on them... would be hard to keep quiet. Can you please elaborate on this? It was my understanding solder did a good job of conducting heat, so I'm unclear as to the limitation you're describing here. As it currently stands, if the build is sufficiently quiet, I will likely be OCing the CPU, so this does matter to me. Although, it might be moot, as the performance results for the i7-9700k still blow away the i9s and i7-<9700k. Abula - Case/Fans: Phantek Eclipse P600...I'm not at home to show you with a picture, but there are both type of headers on the board (not physically but on the bios settings), if im not mistaken, i believe is CPU_FAN2/Wpump and CHA_FAN3 that both are switchable, inside the bios under hardware monitor tab, you will find on the bottom the headers, this headers have a PWM by defult, but you can change them to DC if you need to, the other headers are autodetect so you dont have to do anything. I always recommend to test the included fans first to see if they good enough for each user, but certainly the BeQuiet BL067 are very good fans, thats my prefered fan for case fans on 140mm. About the USBs, i dont think there is an issue, USB3.1 gen1 will work fine with your frontal, the connector is the same to the motherboard, and i seen speed close to 400 transfering on my corsair 740 which also is usb 3.0, i hate all the nonesense with the USB nomenclature, i feel they should have made it 3.0, 3.1 and 3.2, that gen1 and gen2 just complicates things, but soon we will be on 4.0 with the inclusion of TB to it, hope we get pass this naming era soon. Good to know on USB, thanks! Perhaps I'm over-spending, but to ensure similar sound profile, I wanted to go ahead and swap out the included case fans for the Be Quiet case fans, which I recognize to be superb (glad you seconded this though)! And if it makes it even more silent than needed, then, great, as that opens me up to perform some OCing of the CPU! Unfortunately, I am a bit lost by your explanation on fan controls here, regarding 3-pin, 4-pin, PMW, auto-detect, etc. Abula - Monitor: TN vs IPS...Here is very very subjective to each user, for example, there are some that can tolerate TN color shift and viewing angles, but there are others that can tolerate IPS Glow and backlight bleeding on the IPS, othes swear by VA fixing all this issues and other say that VA introduces ghosting.... there are others that are not happy with anything..... so YMMV. There are some very nice TN now a days, that still have color shift but its much less than what you usually see on older TNs, i believe the Asus TN used on the 258 to be very good, but color wise will never be as good as IPS, but then again IPS will never be as fast as TN.... again there is no perfect monitor, there are only compromises and preferences that you have to decide. I do think teodoro brings a good point, UW are gaining popularity because of a more immersive experience, so you might want to look into those, im eyeballing the LG UltraGear 34GK950G-B 34" 21:9 Curved G-Sync IPS Gaming Monitor, but there is one that its coming Q4 that has me more interested, LG 38GL950G-B. Will let you see my response to teodoro regarding my experimenting with an UW 29", but the TL;DR is I'm going to check out a store to compare 24" and 27" IPS monitors. There are definitely some TNs boasting great specs not far behind some IPS monitors. The IPS glow is certainly a concern, especially with the 27" I'm considering. However, low brightness and soft 6500k backlighting should go a long way to help with this, while increasing perceived contrast even further (the 27" I'm leaning towards already boasts the best contrast of any 27" currently on the market though! However, the gammas are generally poor out of the box; don't think a colorimeter is warranted though, as I'm not engaged in print production or such). With regards to the first monitor you suggested, I read some pretty scatching reviews of it for input lag. Tried to hunt down the article again to share, but was unsuccessful, sorry. All - New Question: Case Glass Panel...If you like the glass go for it, the phantek specially has rubber dampener to help even seal the glass to the frame of chassis, some say its for noise not to get out as easy other say to not have vibrations... but only one that seen this. Personally im not into that, but this is a totally user thing, if you like to show the computer go for it. Be sure to check all the options, there are 4 colors on the case. Aye! Tempered glass was decided upon. And I forget the name of the color I picked, but it was the charcoal-like one, after comparing the four colors (I was actually unimpressed by the other 3 options, tbh). Intel excuse back on the Ivy bridge days for moving toward paste, was that their solder process had higher risks on cracking the die and over time was worst, and that the paste they were using (really crap) was design to sustain years (if i recall correctly more than 20). Back in the day it was a true solder of the die to IHS, now we got a hybrid soldier, its not the same as it was on the sandy bridge days, todays soldier is a like a mix of things, and its not fully solid, in the past if you try to delid a soldier CPU you would have to heat it really high and you still had a lot of chance of messing the CPU because the bond was really strong, today people still delid without heating, in the past you would never end up with a clear die, getting the soldier out was really hard, today they simply use a knife and cut right through it. That said, many believe the new solder is not as bad as people make it to be, its more that intel tried to reduce the chance of cracking the die on the soldering process that they increased the the die height/thickness with more material, the result for this extra safety procedure is lower heat transfer, reason why heavy overclockers are still lapping the die to get better thermal transfer. Overall really dont matter, its not like you can chose the procedure into how they are soldier, intel needed better thermals on their high end CPUs, and decided to do half way soldier that in fact transfer better than paste, but not as good as deliding with liquid metal with a less thick die. I'm in the process of renewing my CamMi build, i can no longer stay on windows 7, as the program will lose its support, also need to do some changes on hdds, so decided to do a full upgrade, and decided to go with i7 9700k because of how the program work on the background that leaves hyperthreading unused or barely used, so i have been testing with i7 9700k over the last few days, and its hard to cool, not as hard as the 9900k, but much more than my delided 8700k, i would say about 10C lower than 9900k and 10C above my delided 8700k on equal load/settings. But dont worry the dark pro 4 should be able to handle it fine, and these CPUs have a 105C TJmax, so you got room to work with for quiet operation. DRP4's fan clearance is 40mm, but Ripjaw is 42mm tall...do you know if RAM heights are "actual" versus "real" (would imagine it's shorter once installed into the mobo, after all). I found this post (https://www.overclock.net/forum/246-air ... st23232751) that would indicate RAM height from manufacturer can be subtracted by 5mm, due to installation. I've also read DRP4 has adjustable clamps for fan height positioning, so maybe this is a moot point, provided RAM sits entirely under the fans and not under the heatsink (obviously not adjustable). I don't know if that's true or not with the DRP4, although this post (https://linustechtips.com/main/topic/10 ... rk-rock-4/) the last commenter indicates the built-in fin lip provides 45-46mm of clearance, due to heatsink sitting over the 1st memory slot on each side. I knew of the lip from manufacturer sizing specs, but they hadn't provided measurements, so I've been unable to substantiate this. I dont own a Dark Pro to tell you better, sometimes manufacturers still have some tolerances, so it could be... then again not all follow the same practices, so it might not. One thing you touch that its the solution is that the frontal fan moutning clips i believe as with noctua can be mounted slightly higher, so if you need the extra 2mm you can do that, it will be a little higher on the cooler, but i doubt it will be an issue, unless you have OCD about alignments and looks. Good luck on the build, sad that you didnt buy the Strix on the sale, was good savings. I'm on an asrock itx motherboard that has three 4-pin fan headers and all of my fans are pwm. my exhaust and cpu fans each have their own header, and I plugged the define r6's fan hub into the last one. the fan hub is a glorified splitter, so the same pwm signal goes to each fan connected to it. thus, I have three independent fan speed "groups": one 120mm exhaust, one 120mm cpu cooler, and three 120mm intake. I can set the speeds for each group in the bios according to either cpu or motherboard temperature (I use cpu). the asrock z390 taichi has a whopping eight 4-pin fan headers. six of those fan headers support DC mode, meaning 3-pin fans connected to one of those six can be speed controlled by voltage (vs. by pwm signal for a 4-pin, pwm fan). the mobo should smart detect what kind of fan is plugged in, or you can manually alter this within the bios. within the bios (see 4.8 Hardware Health Event Monitoring Screen in the manual) you'll be able to set a curve for each separate fan header. so if you wanted, you can have each fan in your system run at a different speed. I can't justify a new mobo just to have more fan headers since my temps are all fine and otherwise it's serving me well, but it'd be neat to have that option. for example, I could set a top intake (aligned with my cpu cooler) to spin up a little more aggressively as cpu temps rise while leaving the fans pointed at my gpu a bit slower. I do run my exhaust a bit faster than all of my intake fans though I haven't seen any firm data on when back pressure becomes an issue. I figure that since a single exhaust has the greatest impact on temperatures it makes sense for it to work the hardest. with three intake fans always spinning (though only at ~350rpm at idle) I should be at positive pressure anyway to fend off dust. Thank you for this historical and technical take; it really helps! I recall you mentioning a couple weeks ago how delid+LM for the i7-900k didn't improve thermals too much either, so I'll make sure to forego this (keeping warranty in place). It sounds like I'll still be able to accomplish a fairly strong OC with decent thermals, so, thank you, put my mind at ease! I've spent some time reading through the pcpartpicker reviews of others' past builds since I made this post and am seeing people accomplishing DRP4 w/ RAM as tall as 53mm, even though many have written the fan height adjusters only give 3-4mm height. That said, 3mm is all I need in the worst case, so, I think I'm going to be fine with fans. The 45-46mm for heatsink lip seems a non-issue for certain mobos where the RAM slots are spaced further out, but I didn't see anyone using my board, so I'll just have to find out for myself. Thankfully, the 42mm (possibly before 5mm reduction with installation) will clear that fine, so, ultimately I should be in the clear on both fronts! I won't be doing this immediately after installation, but likely within a few weeks/months, as I've got a lot on my plate upcoming here shortly consuming my free hours (per job promotion). That said, I will be coming back to what you wrote here again in future (and may pick your brain on it again), as it's something I want to do. I might be asking too much, but do you have insights you could share on how to classify the effect of different thermals for different components? (e.g. # celsius for XYZ part = Healthy temperature range / will degrade life substantially / will result in instability or automatic under-clocking) Sort of like how you mentioned 105C being the ceiling for the i7-9700k (presumably before instability). I've read some online on the topic of heat degrading lifespan (of course, makes total sense), but most of it has been highly subjective in the language used, so I've had a hard time discerning how much I should really care about high thermals from solely a degradation standpoint. I also haven't figured out what software I should use to test/stress each components after installation yet (e.g. timespy, memtest86+ overnight). Would love any/all guidance you might have on this, as I'll likely dig into it while I'm waiting for my components to arrive. I know! When you posted that I didn't see the deal for the OC'd variants and had read so much about most the 2080TIs falling prey to silicon lottery to not get to OC any, that I passed on it. In retrospect, I probably should of risked it and did a return if I was really displeased. Lesson learned. Perfect! I had misunderstood the grouping of headers capability here, inferring it was more hub-like, in that the same signal gets forwarded to everyone (thinking in terms of networking). Thanks for clarifying this not being the case! I definitely will have ample connectors then! Is there any benefit to DC over PMW? I've read about the pulse modulation benefits of the 4th pin for PMW, which allows for less spiking with pin #2 being at a fixed 12vdc (compared to 3-pin being variable on pin #2). So, is DC mode just around for backwards-compatibility these days? Thanks for pointing me to the "Hardware Health Event Monitoring Screen" section (4. . Just looked at it and that cleared up a lot. A couple things caught my eye/attention I hadn't considered before though. It shows 2x CPU fan support and 6x case fan support. However, there will be GPU fans - should I be robbing one of the case fan inputs for this? Similarly, there's PSU fan, but I believe those may self-regulate their own temps. Thinking about this, as I'll have 3 (140mm) unused fans from the case, I may want to install them (only 2, given top can't fit 3x140mm) in the top portion of chassis. I'm thinking I'd keep them turned off, but maybe putting them at an extremely low RPM for exhausting would be better cooling AND quieter than relying on the 4 Silent Wing 3 fans I'm planning to install for primary function? Although, if I leave them off, not sure how much that would impact air flow and raise thermals (probably insignificant?). Agreed and sensible. Another forgivance from an acoustic standpoint is the back of case exhaustion has a farther distance to travel before it reaches you, so higher RPMs are generally more forgive-able here than the front of case. Its a hard subject to deal with, all gens have certain memories that work better than others, and many persue this type of memories. For intel dont matter much, Samsung B-Die has been one of the best performing memories for DDR4, and the most compatible with AMD Ryzen, so there are huge demeands for it, and most of the time its a little more expensive. Now manufacturers usually dont disclose what memory is inside, with Corsiar you need to check "Rev" 4.24 is Samsung B-Die, 5.23 is Hynix (if i recall correctly), 3.75 is micron (again if i recall correctly), hard to know what will be shipped form newegg/amazon, for this reason, when im shopping for Corsair i buy used on ebay and ask the user to tell me what version says on the sticker. On other manufacturers.... there is no version that i recall, but usually GSkill TridentZ uses Samsung B-die, at least the 32000CL14 (the CL16 can be hynix or samsung). But dont worry too much on the memory, i do more so because i move stuff a lot, sometimes i sell stuff and rebuild with another motherboard/cpu, so for me its worth doing the extra digging to ensure i can use the memory on any setup. Besides, on Intel setups, most of the memory will run at the rated speed simply by enabling the XMP Profile, no matter the brand. Regardless dont look at memory into the best or only into Samsung B die, the gains on memory are very little for gaming, to the point that its more worth to get the chepeast you can get, recommended to check the QVL List for your motherboard, and chose from there. Over time things degrade, specially at higher voltages/heat, but the rate they degrade most of the time makes it not that important, CPUs can last decades where you will discard them because new CPUs offer things that you want/need, this is the main reason a lot of people overclock. Different components will have different tolerances, but most of the time i try to keep them below 80C, but its more what i feel comfortable and what im used to, than what really matters. I agree, the manual tweaking (beyond that of XMP profile 1 or even profile 2) for memory is really teeny in terms of performance improvement for my needs. This was more a matter of interest to do/learn about it for fun, so I'm only thinking far enough head to get a die that's good for future playing around with. That said, do you know what the Ripjaw V (CL16) is? The TridentZ is 44mm (2mm taller, $10 more expensive), but per our earlier conversation, that should be just fine. If not too confident, I'll probably stick with the Ripjaw V though to keep it simple and minimize fan clearance potential risk. That is precisely what I'm wondering about. In real terms, I might keep all these components the same (except GPU) for up to 10 years I figure. By then my needs may be substantially different to want to take advantage of great tech. So, aiming for individual component lifespans (except GPU) between 5-10 years is my sweet spot to base thermal tolerance around. I suppose this is too hard to calculate for though, given the nuances of every component release needing individual sampling for long periods of time (to the point of obsolesce [from my purchasing perspective]). GPUs are one of those things that imo wear faster than other things, on two ocations i have had GPUs go bad on me with artefacts, and i never overclocked them, and they never passed 85C.... still happen, i personally never had a CPU go bad ever. Now for both GPU and CPU, we are going to see pushes from manufacturers strong over the next 5 years. On CPUs, AMD has risen (pun intended), from sub par cpus to very competitive and good value, with intel not able to do 10nm for years, has open a window to AMD catch up, and now Ryzen 2 might come again to put more pressure to intel, its very likely that we will see 16 cores on the lower end of the line, given that not many need that processing power, the offering will be there, scaling down to 12/8/6/4/2 cores, so price brackets are going to start shifting, and if Ryzen delivers clocks like intel current, then most people will start making the shift, but intel resources are huge, so i expect they will rush new stuff, and hope at some point their 10nm delivers good cpus, and hope they dont stay there, since TSMC already said they are perusing 6nm short term... so intel has to catchup. On GPUs, Nvidia is dominating, but Intel seems to be coming seriously, there is an ETA for intel for 2020, weather it happen is unlikely imo, but i feel 2021 will have all 3 manufactures releasing new GPUs and really trying to keep or steal market share, so i expect this three way war to bring very good GPU offerings that will put our current GPUs to shame. 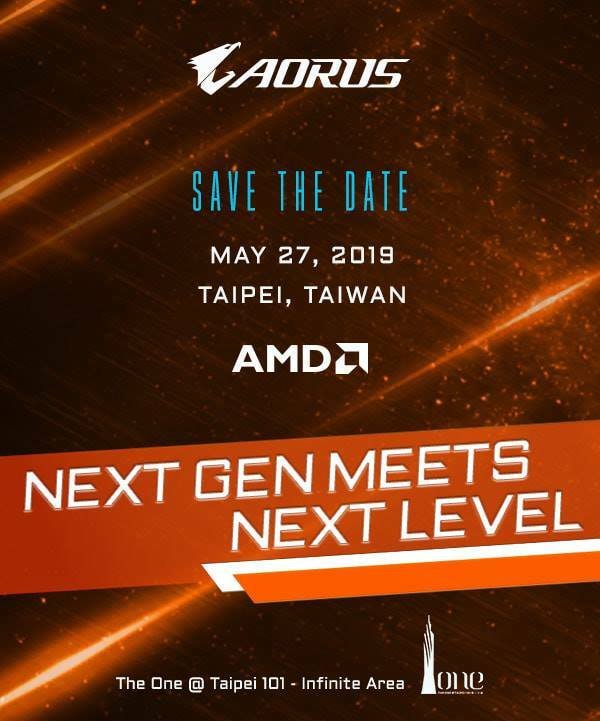 Overall, i feel this is a very nice era to be in in terms of tech, a lot of things will start moving forward due to real rivalry, one ironic thing that might happen is to build around AMD cpu with an Intel GPU... but certainly possible. I dont think we will have a time like the last decade where PC lasted for such a long time, we probably will return to changes every 2 or 3 years, weather its needed, each user will have to decide when its the right time, but i expect big leaps from gen to gen, not the usual intel milking their consumers for 10 years. It's definitely an interesting time in tech and the AMD/Intel irony is quite amusing. I'm looking forward to seeing what increased competition makes possible. It's perhaps even imperative from a PC gamer perspective too, with cloud gaming (e.g. Google's Strada) starting to legitimately come to market (their latencies are >100ms right now though, but once they resolve that, the whole compressed 4K resolution matter won't bother most gamers who don't have powerful rigs...it could be an era killer for powerful gaming rigs for traded-in leased conformity, but eventually, that'll probably be a good thing).